Here's just a sample of what our past customers say! Click to Read All of Our Excellent, 5 Star auto shipping reviews! They picked it up early and got to the destination on time. I had a couple of questions during the process and they answered them right away. I also asked for insurance and bonding and they got it to me right away. We have an unusual company truck that I needed to transport from AZ to IN. The previous shipping company we worked with went out of business, so I was looking for a new transport company I could trust to ship our company truck. After checking out several reviews and talking to various people at different shipping companies, we chose Ship a Car Direct, because of their knowledge and promptness. I received a real education on the confusing process of shipping autos with this experience. Was absolutely inundated with quotes/calls...all of it served to make me even more confused. I chose Ship a Car Direct because they weren't overly bothersome whatsoever, and their information on what's involved with shipping autos was straightforward and clear to follow. Their helpful videos didn't hurt, either! Ship a Car Direct Car Shipping was extremely helpfull throughout the process. There was a few times that I had concerned about the reputation of the carrier assigned, they did not hesitate to repost my order in order to look for another. They always responded promtly to my Email or phone call. Very satisfied with how everything turned out. We had a Toyota Sienna transported from Ohio to California by Ship a Car Direct Car Shipping in just 7 days from booking to receipt of our car in CA. That may not sound so remarkable until you consider that we had been trying to have the vehicle transported by another company for almost a month without success. All we got from the other guys were excuses but with Ship a Car Direct we got action! They guided us through the entire process and checked with us to see how the pick up went as well as delivery. The driver called 1 day ahead of arrival and then morning of delivery. A great experience. We needed 3 cars moved from Washington state to the east coast. After researching the web and reading many reviews, we chose Ship a Car Direct Car Shipping. I'd recommend their website - there are some informative short videos online that are helpful if this is the first time you're going through this process. First time having a car shipped and was a little wary. Tom was very proactive in communication and explaining everything. The driver, Dave, was very friendly and delivered just like he said he would. I would recommend this service. I had had a very bad experience dealing with another company. David was understanding, kind and reassuring. I felt more comfortable about using Ship a Car Direct because he was confident the job would be completed to my satisfaction. He communicated very well, keeping me in the loop. A carrier was assigned the same day I called, and the car was picked up within the week. I recommend Ship a Car Direct car shipping to anyone wanting a hassle-free experience! I had an excellent experience with Ship a Car Direct Car Shipping. On first contact I reached a truly knowledgeable professional (Tom). He was able to bring me through the entire process of how the transport would work, approximate times, cost, etc... I felt completely at ease with the process. I combine that with the cost and the experience was well worth it. If I had driven the car across country the gas, lodging and food for the trip would have been much more costly than the direct car carrier transport. They always answered my questions via phone or email quickly and honestly. I had a tight time frame to ship my car from the eastern coast to the western coast. They were able to secure me a carrier in time at a satisfactory price. Overall speaking, this is a great service and I am happy with my choice of Ship a Car Direct. I would use it again in the future when needed and would for sure recommend it to my friends. I had two vehicles shipped enclosed for about the same price as shipping open with another carrier. The cars were delivered clean and in perfect shape. Ship a Car Direct Car Shipping and the Transport Company were both courteous and professional. I am quite satisfied with the whole transport experience. The process was extremely smooth. I had no problems with having my car picked up or dropped off. Not only did they offer the best prices for transport, but they were also efficient and made sure to let me know what the status of my vehicles drop off/pick up. My car was dropped off before I expected, for which I was very pleased! I would/will do business with them again. They were a pleasure to work with. Honest, professional, and prompt in finding us a carrier. The carrier provided quick and reliable transport for our vehicle. No complaints here! This was my first time using a car transport company. The whole experience couldn't gone better. David was prompt in both email and phone responses. He explained clearly what to expect and was very helpful with every step. I would highly recommend David and Ship a Car Direct Car Shipping. 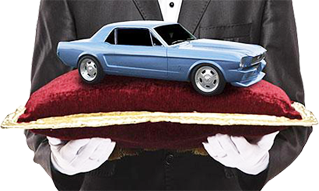 This is the first time we used an auto transport service. From the very first phone call we were extremely impressed with the company's representative, David. He was very thorough, polite, helpful and knowledgeable. He explained how the process worked, and kept me informed along the way. If he was not available when we called with questions, he promptly returned our calls. The car was picked up in the window of time I requested. The driver was on time and delivered the car with no issues or problems as promised. David followed up with us to make sure the car had been delivered and everything was OK. Our car was transported from CA to IL. The cost was $825 for door to door service. I would definately use this company again. The whole process was very easy.